We are the ONLY Toyota authorized Repair and Collision Centre in the South Eastern suburbs of Melbourne. In the unfortunate event of an accident you can rest assured that your vehicle will be repaired back to Toyota’s original specifications and quality at your earliest convenience. 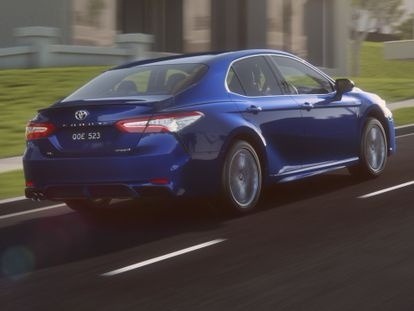 Chadstone Toyota has a philosophy of giving our customers a seamless and total Toyota experience. We have therefore strategically incorporated our Body and Paint facility adjacent to our service department convientently located at 27 Dalgety Street, Oakleigh. Our trained technicians can easily then attend to the mechanical areas of the repair ensuring you will get back to your vehicle sooner and with peace of mind knowing that your vehicle was repaired by Toyota experts. To maintain your Toyota’s value it is also vital that it is repaired with Toyota Genuine parts. Toyota’s warranty remains intact when repairs are completed with Genuine parts. The manufacturer’s warranty will not cover imitation parts or used salvage parts or any damage or failures used by those parts. • assisting you with arranging comprehensive motor vehicle insurance which offers special policy benefits & a level of service in keeping with the highest industry standards. We are qualified to make your experience as stress free as possible and ensure you get the answers you need and get your vehicle back on the road as quickly as possible. Legislation today gives you the right to choose your repairer. No longer do you need to be dictated to by your insurance company on where you must take your vehicle for repair. Chadstone Toyota’s Body and Paint department is a member of the Motor Traders Association and is also an approved repairer for many of the major insurance companies. For an obligation free quote, call the team today! Call us on (03) 9568 1022.